Miyajima opens his first solo exhibition in Lisson Gallery New York, premiering his new series, Innumerable Life/Buddha. 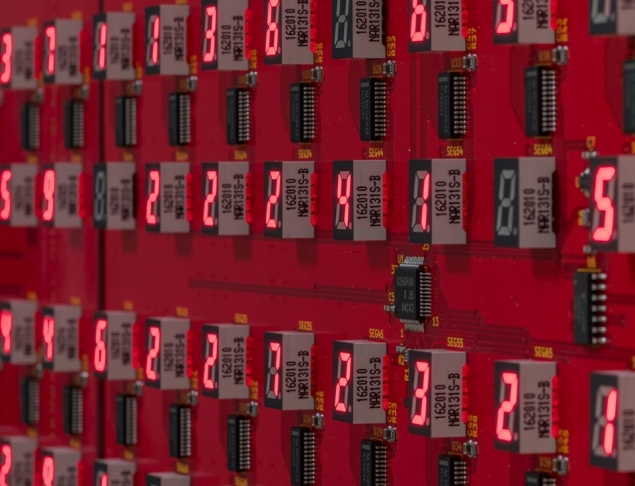 The five new works in the Innumerable Life/Buddha series are made up of glowing LED displays, with thousands of numbers counting down from nine to one at differing speeds, before going dark momentarily. These digits embody the human cycle and the eastern philosophy of change and renewal; each solitary, blinking diode signifying the individual body and soul. The new series is inspired by a legend told in the Lotus Sutra, one of the most important texts in Mahayana Buddhism, recalling the teachings of Gautama Siddhartha, the spiritual teacher who founded Buddhism.